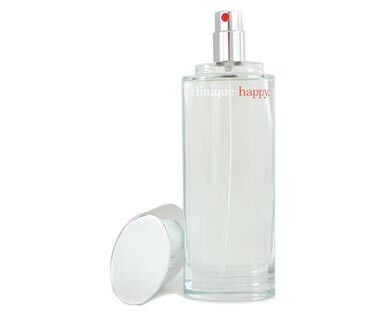 Happy by Clinique is described as floral, fruity and green. It is a refreshing, clean, floral fragrance. Top notes include bergamot, boysenberry and honeysuckle, with middle notes of bushflower, grapefruit and moss. Base notes include freesia, lemon and Hawaiian wedding flower. It is recommended for a romantic occasion.